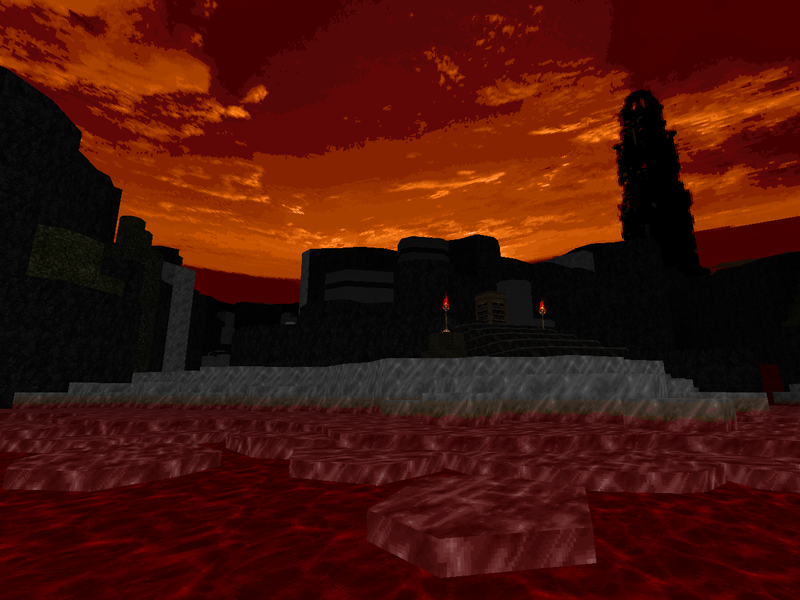 zrrion doesn't have the biggest back catalog, but he's still got a pretty good reputation as a GZDoom map author. As far as I know, he was pretty quiet after the release of ZDCMP2, showing some work on a Hexen level, but that all changed in 2015. 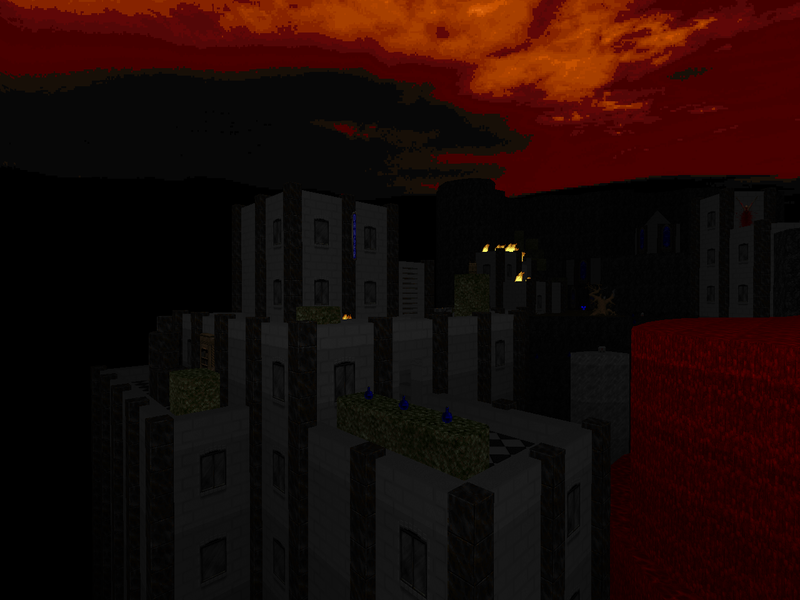 Tormentor kicked off a contest where authors would take a deconstructed layout based on Doom's E1M7 and build a map off it. 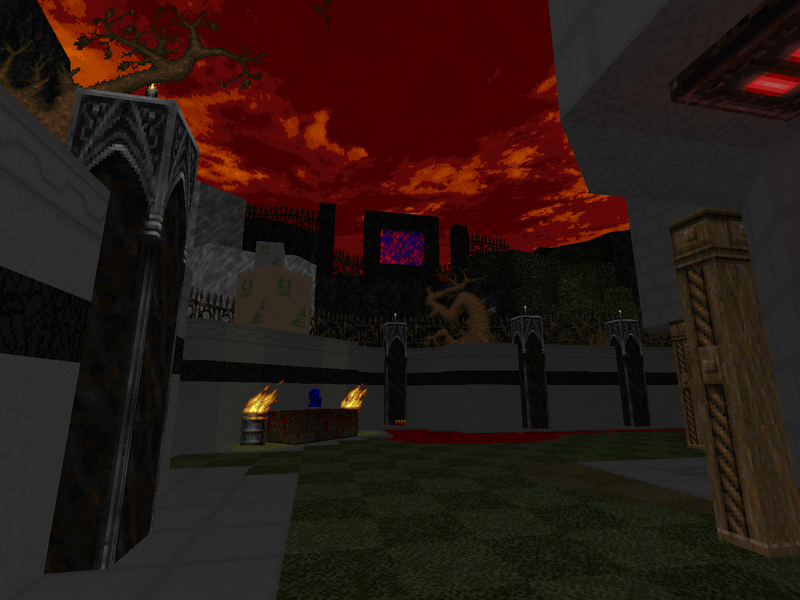 The end result was six interestingly varied GZDoom levels, with zrrion ultimately winning the vote with Mouldy Old Void. As with the rest of its peers, it's a MAP01 replacement. And, like the others, zrrion has brought his own incalculable character, contributing to Doomja Vu's rich patchwork of experiences. The scene is some kind of half-world with shades of reality, like a fragment of a high-rise cityscape plucked from our world and thrust into the other and exhibiting some Hellish transformations that give way to Hell once you get far enough away from your anchor to reality. That's all the context that's given, but it's enough, creating the image of Doomguy falling asleep in his well-stocked penthouse only to have it torn away and deposited in the worst possible place. Past that, well, it's clear that you don't want to hang around in this misbegotten outpost, so business as usual. Mouldy Old Void has one interesting quirk, which might not be obvious depending on how you play. It's the collection of random player start locations. 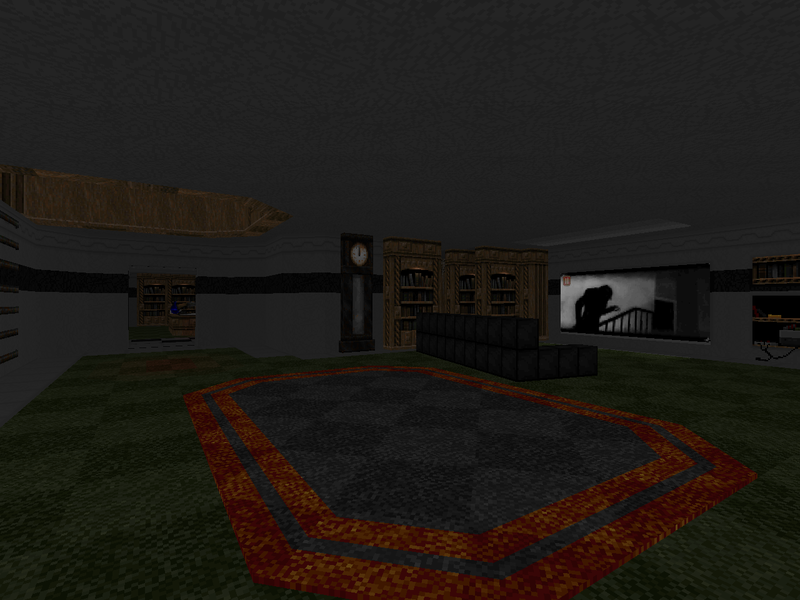 These are all staged in different areas of the apartment, so they're not too far apart and will eventually lead to the same general adventure as you explore, but each starting experience is decidedly different. 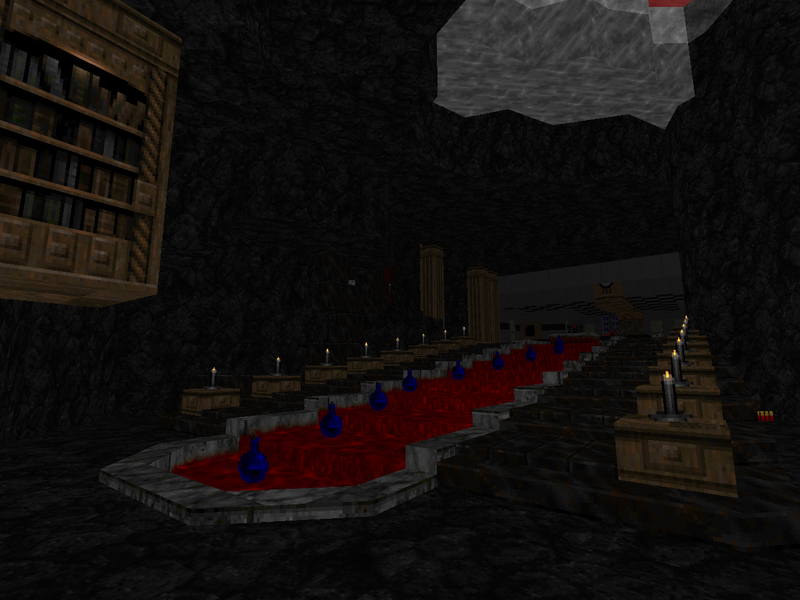 You might be fortunate enough to begin next to a tantalizing shotgun, or a chaingun (even with a few imps close by). Or you could have a sergeant standing behind you, poised for a couple of cheap shots before you shake off your spawning funk. As for the rest, it's you exploring alien territory in order to find the three keys that unlock the exit. Part of this will involve a jolting trip to the outer reaches, which has a decidedly different character from the flat that you begin in, insofar as it's pretty open and has a really cool aesthetic with all those skyscrapers jutting out of the netherworld and mingled with more mundane Hellish topography. It's also home to what was probably the hardest fight I had to endure (besides the E1M8-type finale), a sneaky arch-vile to the northwest. It's more due to the awkward placement and your relative lack of armaments than anything. The combat has a pretty slow pace in general, weighted toward shotgun and chaingun antics. There's a plasma rifle to score, but most of what you'll end up using it for is a Pyrrhic victory. zrrion's craft shines in the layout, architecture, and detailing. The flat has lots of cool details baked into the texturing and various other props that give it a sort of BUILD-engine feel and the unusual hatchway doors add a unique flavor. It's pretty far from the sort of stale greebling that characterized the more structured portions of zrrion's 2012 work. He's always been pretty good at more abstract stuff, so it's no surprise that the level is just as fanciful once you get out of your home base. It's a really cool setting - I'd dig more maps along the same line. Or, really, just about anything, because the author has shown that his talent has grown quite a bit. As far as Doomja Vu goes, well, I'm still more enamored of dead.wire. 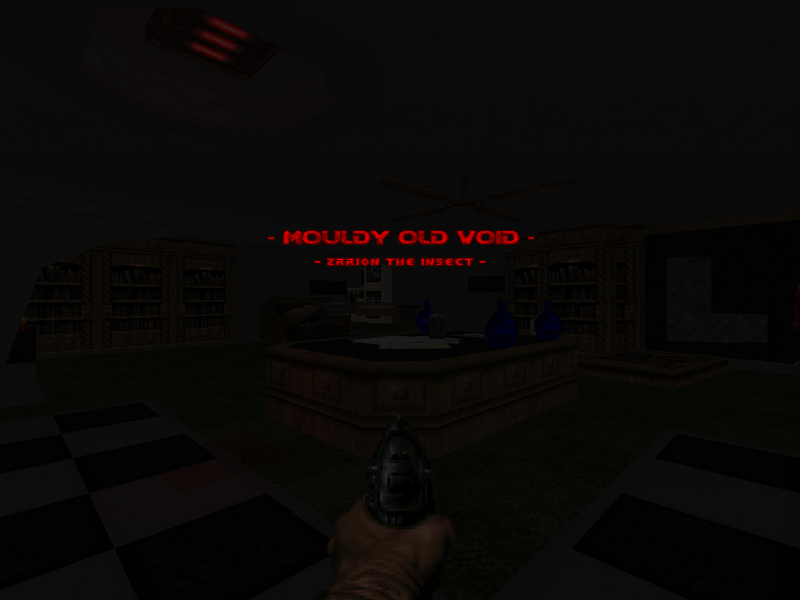 Mouldy Old Void is pretty cool, but it doesn't really have the "wow" factor that Xaser instilled in his little entry. However, this is a review about Mouldy Old Void, and it'd be a shame if you decided to pass this up just because it didn't get a coveted Cacoward. It's a tight little adventure, and like some of the microcosms in the contest, it's itching for some sort of future expansion. Thanks, zrrion. Looking forward to your next one! Mouldy Old Void Put Up Your Dukes! Well, almost as soon as you wish for another zrrion map, you got it! I've actually been sitting on that one since before moving, funnily enough. I just kinda forgot that I made it.